I only read a handful of books this year, and most of those were rereads of things I already knew I loved. This was one of two or three books I read which were new to me, and can I just say that it’s books like this that drove away my love of reading in the first place? I have been struggling since I graduated from college to find my passion for literature again, specifically young adult literature, and it’s so difficult to regain that when it feels like the majority of books I take a chance on end up being boring and terrible. 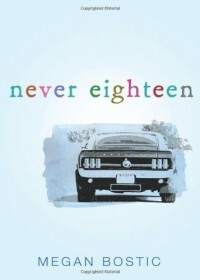 Never Eighteen seemed like it could be a quick and uplifting read—it’s obvious from the description that our main character, Austin, doesn’t have a lot of time because of some unexplained terminal illness, but that doesn’t necessarily mean this couldn’t be inspiring and heart-warming. Unfortunately, a book like this makes all the Hallmark Christmas movies I’ve been binge-watching look like Oscar winners. There was nothing even slightly likeable about Austin or even his best friend, Kaylee, and certainly nothing Austin did or said to anyone else made me feel even slightly sorry for him. It was cliché and convenient, an unsavory combination when it comes to reading. You guys, I have good news! 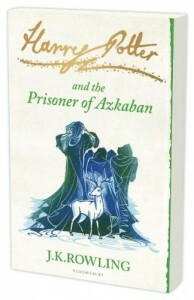 There here is a Harry Potter book I actually liked! You were beginning to think it wasn’t going to happen, huh? My string of short reviews isn’t over quite yet, since I finished this book more than a year ago. I have definitely learned my lesson that my reviews are next to worthless if they aren’t written within at least a month of finishing the book (unless I’ve taken extremely detailed notes, which I certainly didn’t do here). Considering I’ve been a few chapters into Order of the Phoenix for almost a year now, I might just reread this one to get back into the swing of things; if that’s the case, I’ll definitely write a more detailed review then! This is where Rowling’s writing finally begins to mature and Harry starts to feel some genuine emotion. 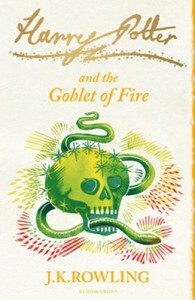 Goblet of Fire has always been my favorite of the Harry Potter films, and I’m incredibly relieved that I enjoyed the book. The overall plot of the series finally began to kick in, and it felt much less like a string of happy-go-lucky mysteries than the first three books. My biggest complaint with the series has been that I don’t love Rowling’s writing (still true) and I feel I have no emotional connection with Harry. While my feelings on the writing haven’t changed quite yet, I am ecstatic to see development from Harry, and I’m thrilled to know that whatever happens in the next book, at least I’ll finally see Harry actual feel something genuine and realistic. This book cracked him open so much more, and it’s nice to begin to feel excited again about reading these books, which I know contain stories I already love. Overall: The more I think about it, the more I believe I should reread this book before diving into Order of the Phoenix again, just so I can get the excitement back again (and write a better review than this). I was told when I started the series that I should consider just skipping to Goblet of Fire, and boy, turns out they were right! I’m finally excited to be reading Harry Potter instead of wondering why I don’t just watch the movies instead. I am finally reviewing a book I actually read this year! However… I finished it in May, so here’s to the (almost) last shorter-than-normal review. I borrowed a copy of this book from a teacher, so I don’t have any notes or ability to flip back through it and remember my thoughts better; I’ll still give this my best effort at detail, though! As you may remember, Winger was one of my favorite books. 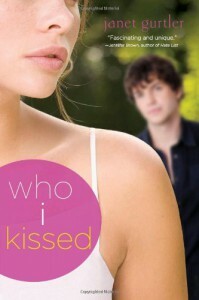 It’s not a book that someone like me typically goes for as Ryan Dean West is not typically the type of character I enjoy reading. However, something about Andrew Smith’s ability to craft him as this realistic, perfectly imperfect guy just struck a chord with me. Winger also ripped my heart out unexpectedly, which always scores points with me. When I discovered that Winger had a sequel, I had to read it right away. Fortunately, the teacher I was working with let me borrow it, and I got to reading right away. I got through the first third no problem, but then it took me several months to pick it up again. When I finally did, I binged the last part in a day or two. I worried that I had outgrown Ryan Dean, but I was delighted to discover that Andrew Smith still had the ability to make me laugh out loud and cry within mere pages of each other. 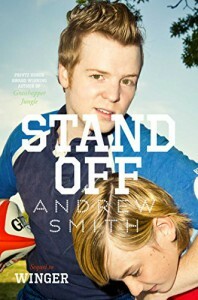 Stand-off explores a lot of themes related to grief and especially avoiding grief. Ryan Dean goes through a lot of things he can’t quite explain, and this book is about him trying to understand himself again and dealing with the fact that he doesn’t want to be miserable for the rest of his life. I completely empathize with NATE (the Next Accidental Terrible Experience) because I experienced the same thing after one of my friends passed away in high school. I thought this novel was excellently crafted, and it is a great follow-up to Winger. However, it lacked the same sparkle, and I found myself missing that all-encompassing enthusiasm for the book. It had an overly-satisfying ending, in that everything wrapped up with a pretty, little bow, and the resolution seemed forced to me. After the unexpectedly world-shattering ending of Winger, I could have stood an ending less-than-ideal than this one. It felt like Smith really wanted to end this story, and he wrote out a resolution that would leave no room for speculation or further wondering. I loved the ending of Winger without the idea of a sequel, so having a sequel that perfectly wrapped up the story I’d loved so much was fairly disappointing. Overall: As with Winger, I don’t recommend this to younger readers. Ryan Dean West may be fifteen years old, but I doubt I’d let my kid read it at fifteen. Use discretion because there is a lot of language and Ryan Dean West is a teenage boy who thinks like a teenage boy, but, unlike how I usually feel, it all contributes to the characters and the story overall. Stand-off wasn’t as brilliant as Winger, but it’s still worth reading if you loved the first book. 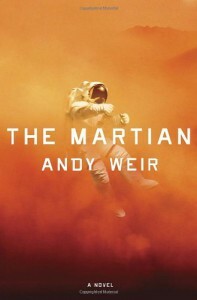 Let me preface this by saying that I loved the movie of The Martian. I went into it completely expecting science fiction suspense, and it was one of the funniest films I've seen in a really long time. So far, the book is much the same (thank goodness!). It's got quite a bit more cursing than the film (which bothers me, but oh well), but so far that's the only stickler for me. Mark is a sarcastic, deprecating narrator, but he's smart and witty. I'm trying to follow the science, but since I'm the type of girl who gets low Cs on science tests (when you're allowed to use Google), it's slow going and most of it goes over my head. This is slow going so far because I'm kind of easing myself back into reading for fun. I grew up listening to stories when I went to bed, and I've been listening to the same "Emperor's New Clothes" collection since I graduated from college. I decided to listen to Fellowship of the Ring, but since I always fall asleep before the chapter ends, I'm also reading along. So my main priority right now is reading a chapter of Fellowship a day, and this gets fit in between that. Sorry Andy Weir, but Tolkien will always be bae. Short version: This was boring and dull. It was anticlimactic, and I despise when first person present tense narrations switch over to third person narrations when the main character dies. BOO. It wasn't the worst book I've ever read, and I reserve one star rating for things I truly hate, so this doesn't quite fit the bill. But I wouldn't recommend this at all, so there's that. 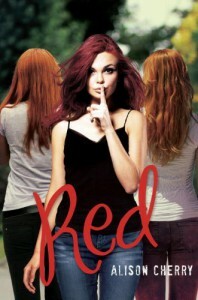 The above encompasses about 95% of the plot; however, I decided to give this a two-star rating because The Unwritten Rule focused quite a bit on the actual friendship between Brianna and Sarah, and how destructive it really was. I have been in hurtful friendships before, and while I never had friends quite as cruel as Brianna, I sympathized with Sarah’s situation (outside of her whole trying to steal Brianna’s boyfriend thing). 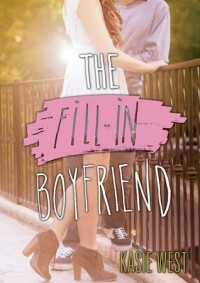 At the end of the novel, I felt like the story’s ending, while happily-ever-after in that Sarah and Ryan end up together, still has the friendship at the forefront. Sarah gets Ryan, yes, but the bigger thing she gets is freedom from a toxic friendship, and the realization that just because you’ve been best friends with someone for a long time doesn’t mean you need to stay friends with them forever. This was a lesson I had to learn in high school, and I felt like Scott could have been really successful if this story was about Brianna and Sarah, with Ryan floating somewhere in the background. Overall: This wasn’t really a good book, although it ended up with a pretty good lesson in the end. I definitely wouldn’t recommend it because Sarah’s narration will make you want to stab something, but it definitely wasn’t as bad as it could have been. 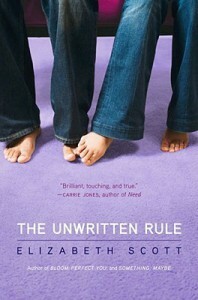 I have all of Elizabeth Scott’s books on my to-read list, and this one doesn’t make me excited to get to another one anytime soon. However, I think there’s potential, and maybe I just need one with a less cliché plot in order for it to really click for me. Okay. So, you know how sometimes you read a book that is beloved by almost everyone on the planet, but you’re not really as into it as everyone else because you have absolutely no nostalgia attached to the book itself or the author, but it’s also been so long since you read it that you can’t really put into justifiable words why you thought it just wasn’t that awesome, and you’re kind of afraid all the raging fans will jump down your throat but you’ve got no defense because of the aforementioned long-ago reading of said book? That’s basically where I am with Harry Potter and the Chamber of Secrets. I absolutely can’t wait to be done writing reviews for books I finished almost two (!) years ago because I feel kind of like an idiot for how few notes I took and also for waiting so long to type up how I felt about these books. The Harry Potter series is one where I know I’m in the minority (like…way, way down there), but I don’t have much I can defend my opinion with because, like I mentioned, I made the amateur decision to take no notes. 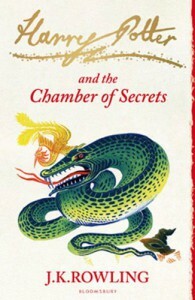 So here is a short and simple review of Harry Potter and the Chamber of Secrets. Fortunately, I know I felt very similar to it as I did to Philosopher’s Stone in most regards. It wasn’t bad by any means, but it just didn’t stick with me. My complaint with Rowling’s writing style in these early books is that they’re far too immature, and they focus more on action-action-action than any thought process or reflection in the characters. This book was even slower than Philosopher’s Stone in reaching a climax, so I was pretty bored by the time we got anywhere exciting. One of my favorite parts of the first book was the world-building, but that took a backseat to everything else in the sequel. There wasn’t the same draw into the wizarding world because we already knew it existed, so this book lost a lot of sparkle for me. In addition, I felt like there was an increase in annoying characters and a decrease in the ones I enjoyed—Hermione wasn’t around for a good chunk of the book, but I really sometimes cannot stand Ron or Ginny. They are easily two of my least favorite characters in the series so far, and this book focused in large part on them (either because Ron was always with Harry or because Ginny was involved in a large part of the conflict). Overall: Definitely not my favorite Harry Potter novel, and unfortunately, I’ve already read Prisoner of Askaban prior to writing this review, and I know I enjoy that one even less than I did this one. However, I’m certainly not giving up on Harry Potter this time around; I’m determined to see this series through to the end at least once, and hopefully fans will forgive me since I’m reading these books for this first time with no childhood nostalgia. My relationship with reading has been totally off the rails, I must admit... I binged the first third of this book in one day, then left it alone for almost a month, then binged the last two-thirds between yesterday and this afternoon. The weather has been super nice here in the last couple days, so I got a nice sunburn by reading on my back porch yesterday, hahah. Anyway, Stand-off was not quite the masterpiece that Winger was, but it still did an excellent job of continuing the story. It's not nearly as gut-wrenching, and you're left feeling pretty satisfied with the ways things turn out. I think my biggest complaint is that the ending (pretty happily-ever-after-esque) felt a tad bit forced, so I didn't quite believe in it. However, Ryan Dean did not disappoint as a narrator, and he was as witty and outrightly honest as he always has been. Overall, I really enjoyed Stand-off, but I'm not sure it's one I would reread. I would go back to Winger again in a heartbeat, but this one didn't have that same pull to it. This is another book I finished about a year and a half ago, so my review will be rather short and to the point (as three-star reviews tend to be anyway). 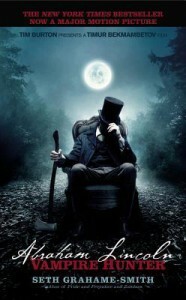 Abraham Lincoln: Vampire Hunter was certainly the odd read, and not at all what I expected. I loved Pride and Prejudice and Zombies, which was also written by Grahame-Smith, but Abraham Lincoln proved to be incredibly different. It still had all the quirky gore and fight scenes, but with the uninspiring narration of a biography. I am not very good at suspending my disbelief when the author doesn’t 100% convince me certain things are possible in the world they have created. Anyone who knows me knows I love fantasy and other unrealistic fiction, but you’ve got to get me to believe in your world before I can let myself enjoy something. Grahame-Smith’s world here is very much our ordinary world, except it includes vampires. This is fine, but I get stuck at the biography-but-still-a-narrative concept presented in this particular book. The book’s synopsis tells us that Grahame-Smith supposedly discovered The Secret Journal of Abraham Lincoln, which explains passages of this book that are directly quoted from Lincoln in that diary. It does not, however, explain any of the perfect dialogue exchanged between characters throughout the book. It would have succeeded much more in its believability had it just been written like a narrative, without pretending to be a biography. The dialogue brings me completely out of the story because I am constantly reminded that there is no way the author of any biography could know exact conversations that happened between people hundreds of years ago. Aside from this, though, the rest of it does sell you on its genre (biography), and I really would have enjoyed it much more without so much dialogue. I still felt emotionally attached to a lot of the characters, especially Lincoln’s family, and it was cool to see a “secret” side of history. I find conspiracy theories fascinating, and this felt very similar to that. I do generally enjoy Grahame-Smith’s writing (since I loved one of his other books), but this one wasn’t all that memorable for me and I would probably by-pass it when recommending books to someone. There is only one other thing that made this impossible for me to believe, but since it’s a huge spoiler, it is going under a “read more” tab!